Turns out there are numerous ‘FDA Cleared’ CES (cranial electrotherapy stimulation AC) devices available for sale in the U.S. when recommended and prescribed by your doctor. Typically these devices are recommended for pain but also for depression. They also seem to be recommended for use in drug treatment. Cost of the device is sometimes covered by insurance. [Video was removed from Youtube] That clip shows both the Fisher Wallace Stimulator and the Alpha-Stim devices. Also for doctors: How to prescribe the device. A couple of other available devices: CES Ultra and European manufacturer Onko Cet offers the Transair series of transcranial electrostimulation (TES) devices. At around minute 13, Tali Sharot describes how she and collaborator Dr Ryota Kanai were able to influence the outcome of experiments designed to test optimism bias by applying TMS (transcranial magnetic stimulation). Amazing! One way to think about this (very generally) is that, in this case, TMS had both a positive and negative impact. This should also serve as cautionary to anyone self-experimenting with tDCS. I’d be hesitant to do too much self-experimentation. Not that I worry about causing direct damage, but brain activity is often a delicate balance, and enhancing some process may have adverse effects on another. I also heard back from the Laboratory of Cognition and Neural Stimulation at the University of Pennsylvania. They are who posted the questionnaire. Basically it was just a follow-up email asking more questions. I have yet to correspond with anyone personally and they have so far signed their emails as Research Specialist. The lead author of this research study, Dr. Bullard, maintains that this procedure allows for altered brain-wave activity and accelerated learning. She examined MRI brains scans and magnetoencephalography (MEG) and found physical changes to confirm this. Apparently, these tests showed that TDCS gave a six-times baseline boost to the amplitude of a single brain wave. This boost was not seen when a placebo TDCS was used and this mock wave was ineffective in exciting brain tissue. 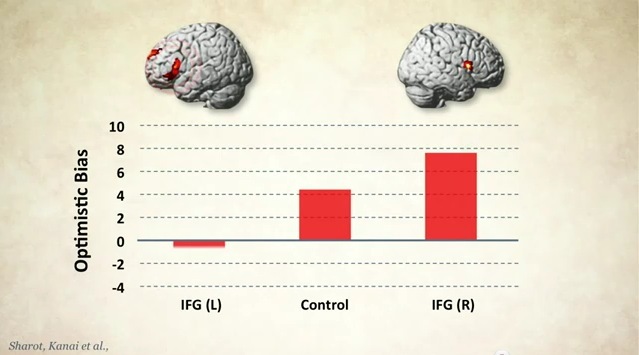 Basically the effect will persist long after the TDCS is stopped, up to almost an hour of time. These results tell us that TDCS increases the cerebral cortex excitability, therefore increasing arousal, improving sensory input response, and speeding up information processing. Surprisingly, the MRI brain tests revealed actual structural changes in the brain five days after the TDCS was done. The neurons of the cerebral cortex connect with each other to form circuits by way of nerve fiber bundles (axons) that are buried deep below the surface of the brain. These fiber bundles are more robust and highly organized after the TDCS. None of this is noted on the side of the brain that is not stimulated by this procedure. via Transcranial Direct Current Stimulation Improves Learning Abilities in Pilots · Healthy Living articles | Well Being center | SteadyHealth.com. The main experiment consisted of a two-minute baseline period of walking with both belts at the same slow speed, followed by a 15-minute period with the belts at two separate speeds. While people were on the treadmill, researchers stimulated one side of the cerebellum to assess the impact on the rate of re-adjustment to a symmetric walking pattern. Dr. Bastian’s team found not only that cerebellar tDCS can change the rate of cerebellum-dependent locomotor learning, but specifically that the anode speeds up learning and the cathode slows it down. It was also surprising that the side of the cerebellum that was stimulated mattered; only stimulation of the side that controls the leg walking on the faster treadmill belt changed adaptation rate. via Non-Invasive Brain Stimulation Shown to Impact Walking Patterns. Conclusion: Studies involving excitatory rTMS/tDCS at M1 showed analogous pain reductions as well as considerably fewer side effects compared to FDA approved FMS pharmaceuticals. The most commonly reported side effects were mild, including transient headaches and scalp discomforts at the stimulation site. Yearly use of rTMS/tDCS regimens appears costly $11,740 to 14,507/year; however, analyses to appropriately weigh these costs against clinical and quality of life benefits for patients with FMS are lacking. Consequently, rTMS/tDCS should be considered when treating patients with FMS, particularly those who are unable to find adequate symptom relief with other therapies. Further work into optimal stimulation parameters and standardized outcome measures is needed to clarify associated efficacy and effectiveness. via Efficacy of Transcranial Direct Current Stimulation and Repetitive Transcranial Magnetic Stimulation for Treating Fibromyalgia Syndrome: A Systematic Review – Marlow – 2012 – Pain Practice – Wiley Online Library.